Using a spatially-lossless encoding system, with 1:1 pixel mapping, AdderLink Infinity provides pixel perfect and colour accurate video with no artefacts. The digital video you receive is the same as the digital video leaving the remote computer. Using standard IP technology means you have the choice of a single structured cable (CATx) or fibre connection. The result is that you achieve reliable links without interference. 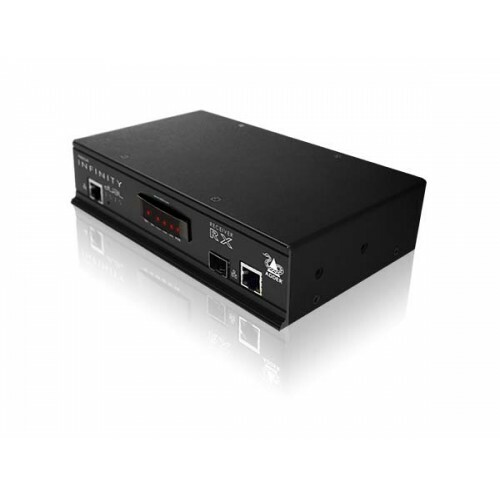 The AdderLink Infinity dual 2020 also offers the option of up to 10km distances with fibre. Extension distance is not limited to a single 100 meter cable length - If you need to extend further, simply add a 1GbE network device to achieve an additional 100 meters. The units are also fitted with SFP cages to accept fibre optic transceivers which enable much greater extension distances. Some graphics cards use a technique called dithering to give the appearance of a deeper color depth than is actually the case. As a result, dithering can significantly increase the normal video data rates. ALIF2002T has a feature called Magic Eye which supports dithering without allowing it to degrade overall link performance. 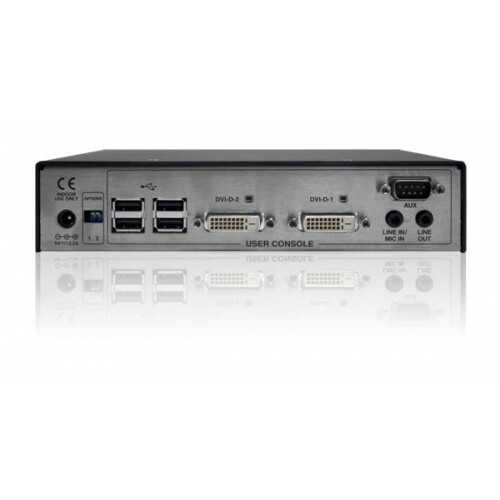 Enables connection of USB devices from mice and keyboards through to graphics tablets, jog shuttles, joysticks and 3D explorers, alongside mass storage devices. For applications where security is of high importance, the system has the ability to disable the use of non-HID devices, meaning there is no need to physically block USB ports to prevent the use of mass storage devices. Intelligent EDID management allows the true characteristics of the monitor to be passed back to the computer. 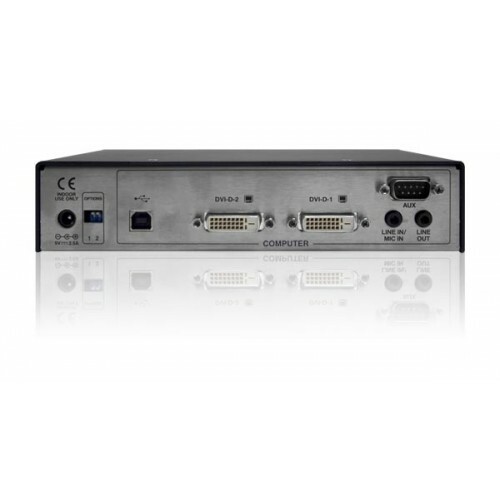 This ensures perfect video display without additional configuration. AdderLink Infinity extender devices are delivered in a zero config state so you can plug them in and start working on them straight away. There is no need for drivers or software to be installed. The units are able to detect whether the network is in operation and can automatically change to its second network port if it detects a failure. With the addition of AdderLink Infinity Management system (A.I.M.) 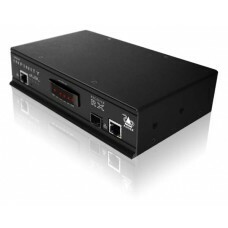 you can turn multiple point-to-point extenders into a truly scalable digital KVM matrix system that allows any workstation to link with any computer connected to the network. See the Adderlink Infinity Matrix data sheet for details. 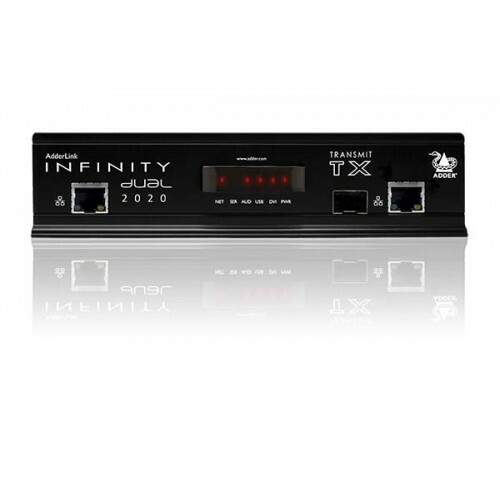 Fully compatible with the ADDERLink INFINITY Matrix range.